The Ultimate Solution for Boards and Management Excellence globally exclusively for Private Companies, Limited Companies, Family Owned businesses, Sole Proprietors and Partnerships would immensely benefit from this world class 7 in one package which, we believe is the world's most affordable world class director, management and personal excellence services for companies globally. This Rentadirector game changing service is a cutting edge unique membership portal for companies who wish to make an impact, drive accelerated growth and have stronger earnings and cash flows. Vijay Mistri in an international speaker, CEO and founder of Rentadirector. He is a corporate growth and personal excellence expert. Vijay has authored multiple programs which include progression to excellence- become a world class entrepreneur, director, executive and manager. Other programs developed are finance for directors and executives, business fraud and achieving boardroom excellence. All programs have been awarded a greenlight status from the UK Trade and Investment. 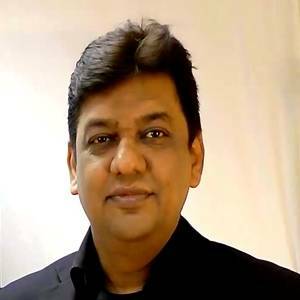 Vijay has conducted many seminars, workshops on his flagship program on becoming a world class leader, director, executive, manager, professional and partners. With over 200 testimonials from professional, financial, mining, manufacturing, and service sectors, Vijay is focused on offering the most effective leadership insights and drivers which will impact high growth whilst mitigating risk and correlating to future trends. Vijay is company secretary and board member of the UK Policy Governance Association UK. He is also Board advisor for Sterling group UAE. He has served companies as a corporate coach and Non-Executive director. He formerly was the group finance and commercial director of Steadman and Associates in Pan Africa (now IPSOS). He was also the global partner of Xylem Group. In addition to his qualifications, Vijay has completed the Policy Governance® Academy ( only about 350 worldwide).